The estimated average glucose can be useful in patients who do not check their glucose levels frequently or do not record them. Knowing an estimated average glucose can allow clinicians to set a goal and target for glucose levels, especially in non-compliant patients who do not check their glucose levels frequently or do not record them. Nathan DM, Kuenen J, Borg R, Zheng H, Schoenfeld D, Heine RJ; A1c-Derived Average Glucose Study Group. Translating the A1C assay into estimated average glucose values. Diabetes Care. 2008 Aug;31(8):1473-8. Epub 2008 Jun 7. Erratum in: Diabetes Care. 2009 Jan;32(1):207. PubMed PMID: 18540046; PubMed Central PMCID: PMC2742903. 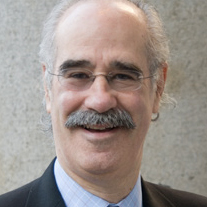 David M. Nathan, MD, is director of the General Clinical Research Center and of the Diabetes Center at Massachusetts General Hospital. He is also a professor of medicine at Harvard Medical School. He is an active researcher with over 200 published articles and focuses on the development of innovative therapies to treat type 1 and type 2 diabetes and to prevent its long-term complications.